Climber must be 48 inches to go on ropes course alone. 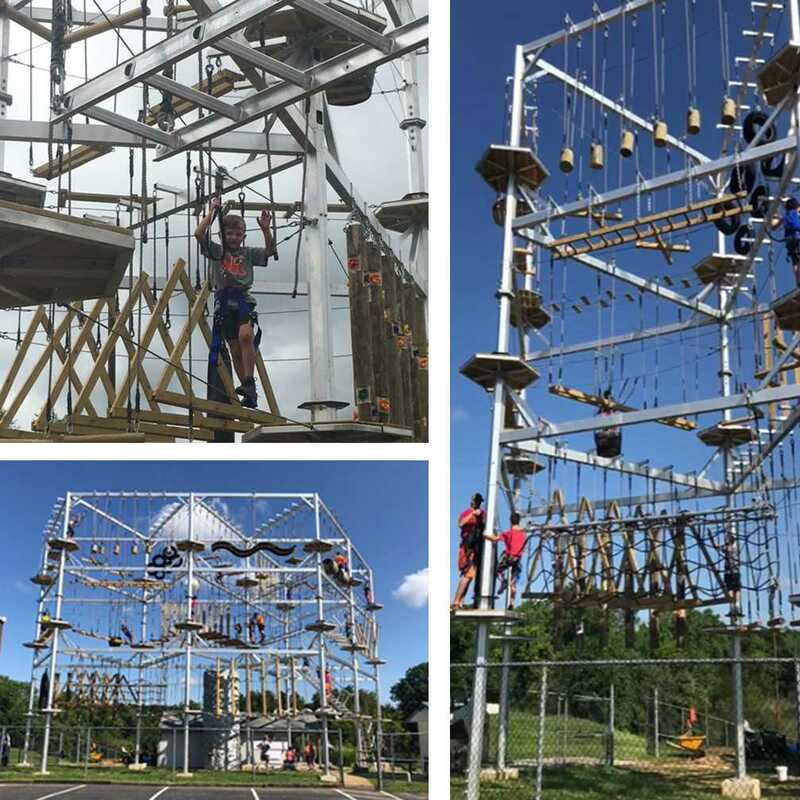 Climber can go on ropes course if over 40 inches but must be with an adult and that adult counts as a guest. A $200 non-refundable deposit is required when booking your party to secure the date. This deposit does come off your final balance due the day of your party.